When colorful adventures come calling, slip this on for a tip-toe around town. 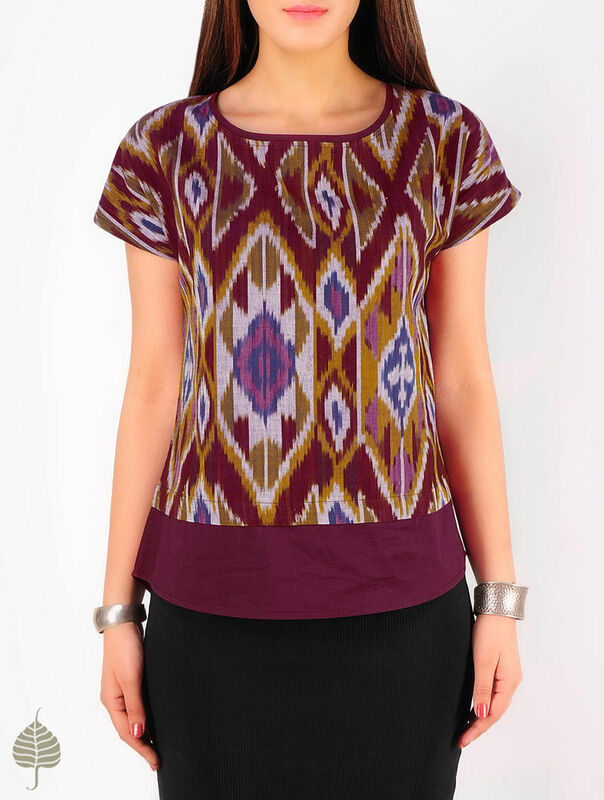 This ikat top is an ode to handwoven ikat textiles and has been created in collaboration with designer Sonica Kapur. The fabric for this exquisite piece has been tie-dyed by hand and then handwoven on looms by the artisans from the village of Pochampally in Andhra Pradesh. Note: The above given measurements are garment measurements.